It was cooler Monday, we even had some sprinkles this morning. Blessed relief from the heat! So it seemed a good day to take a drive down to the local Apple Store. 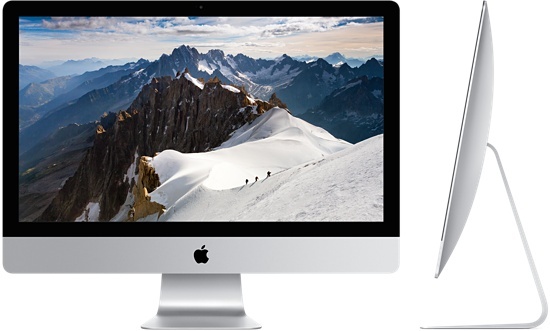 I had all the technical information on my present iMac with me, and the first thing I did was show it to the employee there and discuss my options for upgrading. As I expected, the ten-year-old computer was beyond upgrading. It turns out that it would have cost almost as much to upgrade it so it could run the current Mac OS (Sierra) as buy a new iMac. So I looked at the new iMac, 27-inch Retina display (an ultra high-resolution display) with plenty of RAM, big hard drive and so forth. Woo-hoo! A lot of questions were asked, mostly answered, though it’s obvious there will be a great deal of setup, reconfiguring (especially Word, as I customize it a lot) and a learning curve on the new operating system, since I’ll be four or five generations behind. Apparently “most users” upgrade every 3 years. I also had to buy an optical (CD/DVD/ROM) drive, as iMacs no longer come with them, as my old one did. Oh, and the connections on the back have changed a lot, so there may be a need for adaptors for my older auxiliary drives and other peripherals. So it was ordered, paid for and the first packages arrived the next day. The iMac itself will be here today. Meanwhile I have a lot of file clearing and backing up and so forth to do. I need to upgrade myself but I sure don’t want the hassle. I’ll start “the hassle” in a few hours, when UPS says it’ll deliver the iMac. In a few days, hopefully, everything will be spiffy. Way to stimulate the economy. I salute you for stimulating the Economy! Looks like a great system! Wait until you read the specs in my upcoming “Computer Adventures” post. If I could, I’d still have my 1984 Morrow MD2 with the two floppy drives. I hate updating. I feel your pain, but it seems unavoidable these days. At least once it done, things are good for a while.